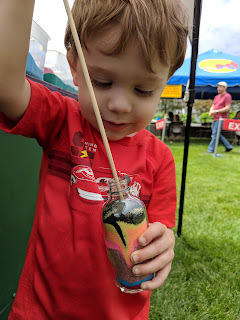 We spent a few hours downtown at the Grand Rapids Art Festival. We met up with a co-worker and her family so our two kids had a good time together. We left a little early because our little one was getting tired and over-stimulated. As soon as we got him to the car he napped. 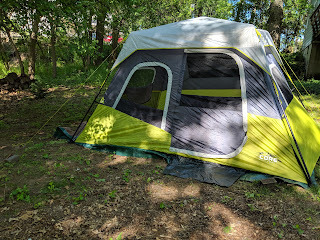 After some grocery shopping we set up the new tent that had arrived earlier in the week. 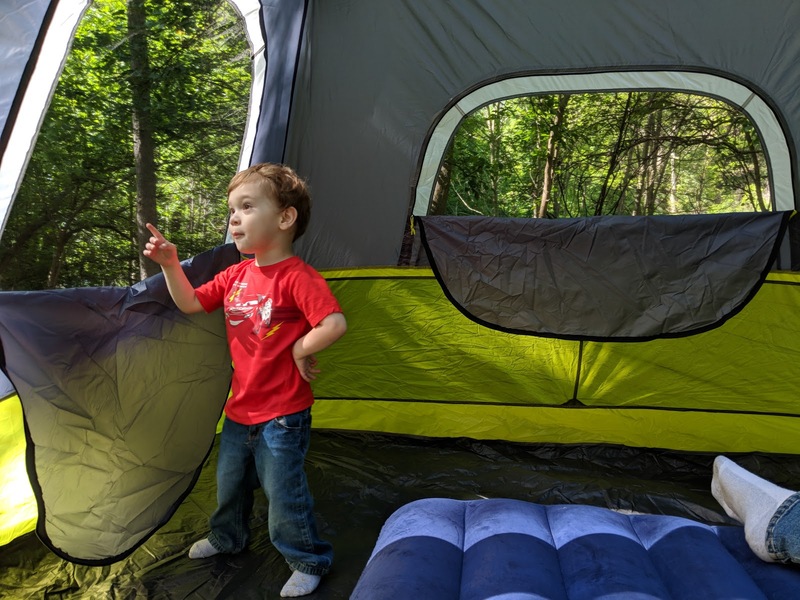 It's an instant tent, so easy to set up with one person. I picked up a Core Instant Cabin 6. 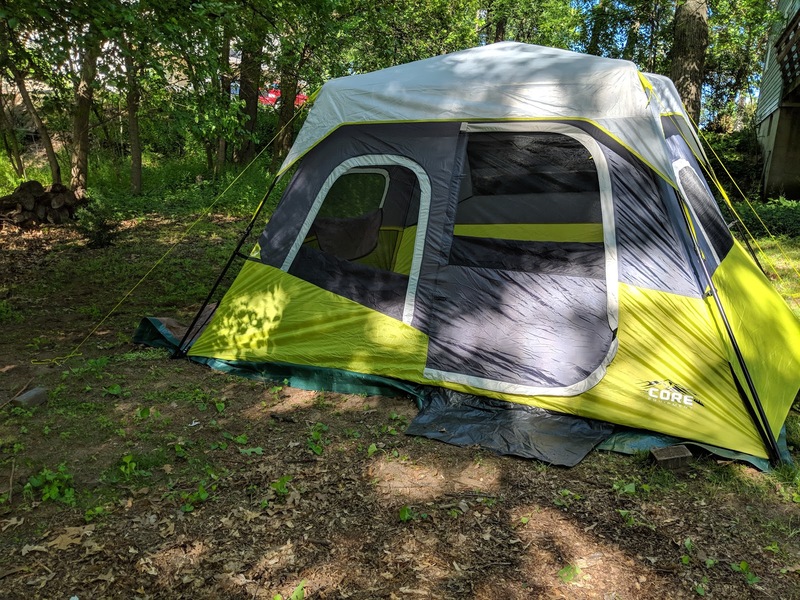 You always divide by 2 so really it's a 3 person tent once you have gear and what not inside. It's not as roomy as I'd have liked, but it's roomier than what Chris wanted, so we compromised. The important thing is that it went up fast, which is great when you have a toddler bouncing around asking why, why, WHY every 3 seconds. 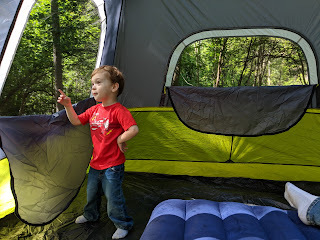 The plan is to do some backyard camping to test the tent out and see how everyone likes it. It is going to rain tonight, so we covered the very cool ceiling window with the rainfly.